So, now, I was ready to begin. We start in this girl’s neighborhood, a cul de sac out in the country a bit. 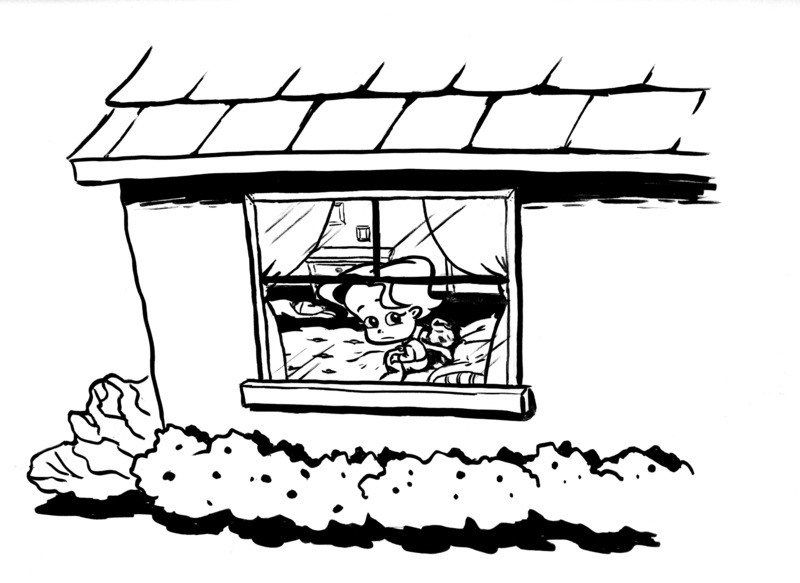 I’m not happy with the first few backgrounds–the one of the countryside, and the ones of the girl character’s house. Background design is not my forte, and it shows. As I got warmed up, I think they got better, but the first few definitely need to get re-done. Another note about the art direction of this project: besides just playing around with my new brush pen, at the time I was working my way through the Bone graphic novels and absolutely salivated over Jeff Smith’s seemingly effortless use of black and white/positive and negative space. I wanted to explore that type of a drawing. I quickly realized how much pre-planning you have to make. What parts are black? What parts white? Is the negative space black or white? What do I do when the black areas end up being next to each other? (hint: try a white rim-light.) However, larger bg’s like the one below elude me still. 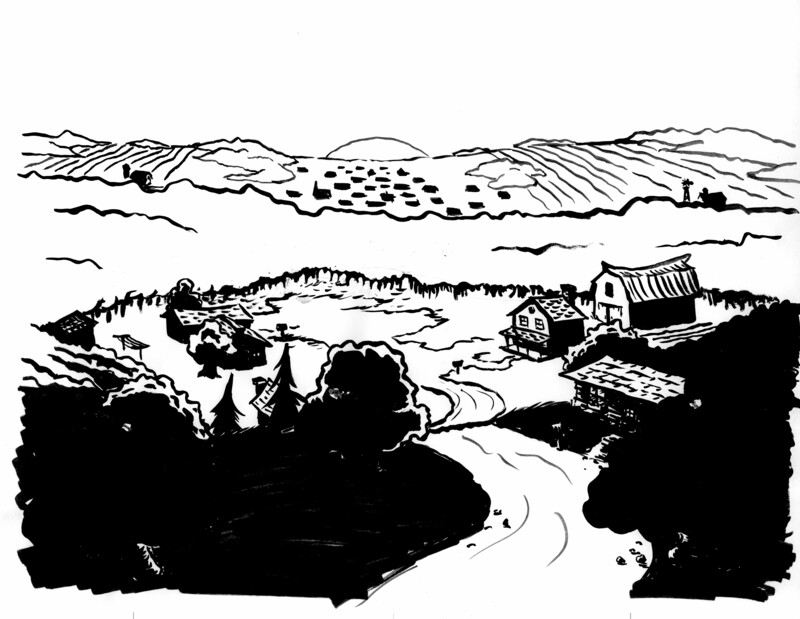 I might scale the scope down a bit, so there’s less countryside to depict. I’d also like to design the houses better. These are pretty vanilla. 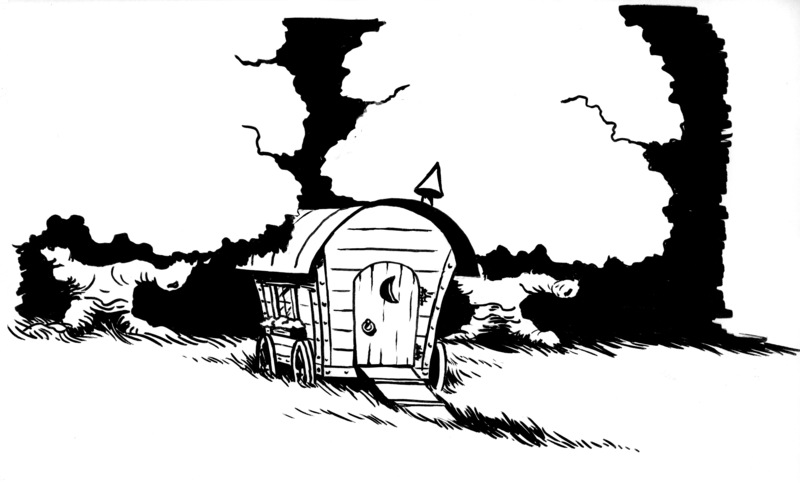 One morning, the little girl awoke to notice a mysterious caravan had appeared in her neighborhood overnight, parked in the tall grass, just off of the cul de sac. 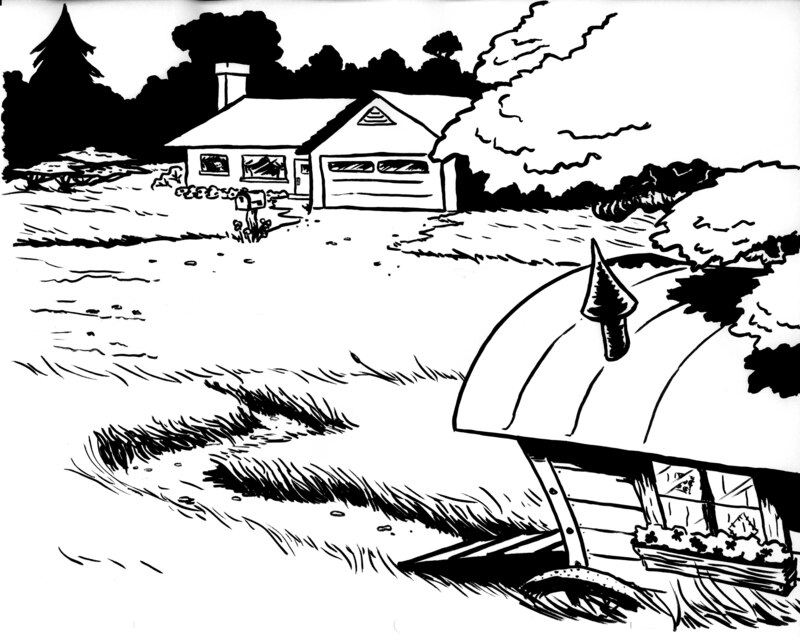 What will the girl find out about this strange addition to her neighborhood? Tune in next week to find out!